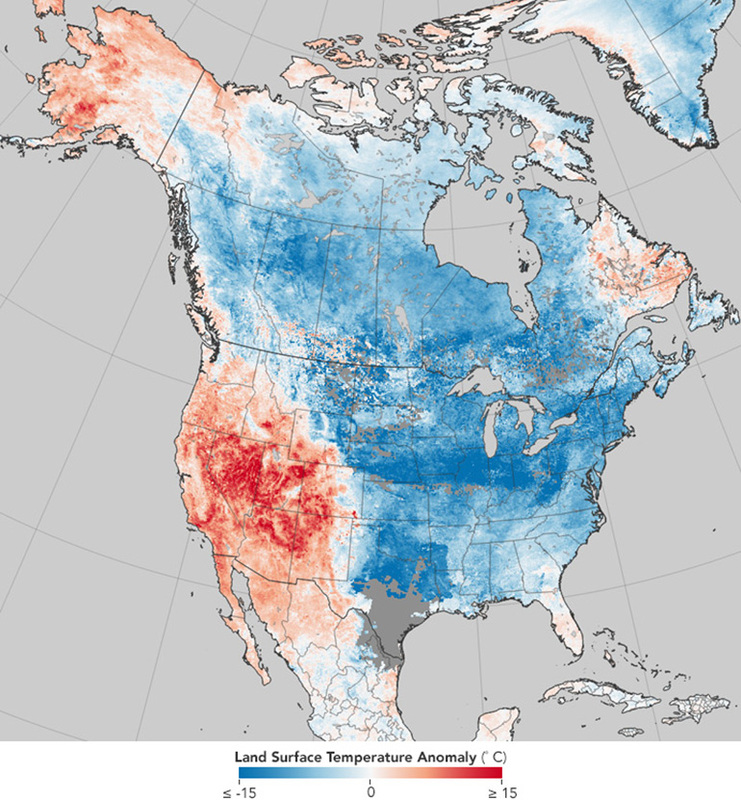 Persistent weather conditions, including dry and wet spells, that have increased in the United States may be a result of rapid Arctic warming, according to a new study. The conditions can lead to weather extremes such as drought, heat waves, prolonged cold, and storms that can cost millions of dollars in damage and disrupt societies and ecosystems, researchers say. Scientists examined daily precipitation data at 17 stations across the US, along with large upper-level circulation patterns over the eastern Pacific Ocean and North America. Overall, dry and wet spells lasting four or more days were more frequent in recent decades, according to the study, which appears in Geophysical Research Letters. The frequency of persistent large-scale circulation patterns over North America also increased when the Arctic was abnormally warm. In recent decades, the Arctic has been warming at least twice as fast as the global average temperature, the study notes. The persistence of warm Arctic patterns has also increased, suggesting that long-duration weather conditions will occur more often as rapid Arctic warming continues, says lead author Jennifer Francis, a research professor in the marine and coastal sciences department at Rutgers University. “While we cannot say for sure that Arctic warming is the cause, we found that large-scale patterns with Arctic warming are becoming more frequent, and the frequency of long-duration weather conditions increases most for those patterns,” says Francis, who works in the School of Environmental and Biological Sciences. The results suggest that as the Arctic continues to warm and melt, it’s likely that long-duration events will continue to occur more often, meaning that weather patterns—heat waves, droughts, cold spells, and stormy conditions—will likely become more persistent, she says. Future research will expand the analysis to other regions of the Northern Hemisphere, develop new metrics to find causal connections, and analyze projections to assess future risks from extreme weather events linked to persistent patterns, she says. Additional coauthors are from Rutgers and the University of Wisconsin-Madison. The National Science Foundation funded the study. Would more reflective surfaces beat heat waves?